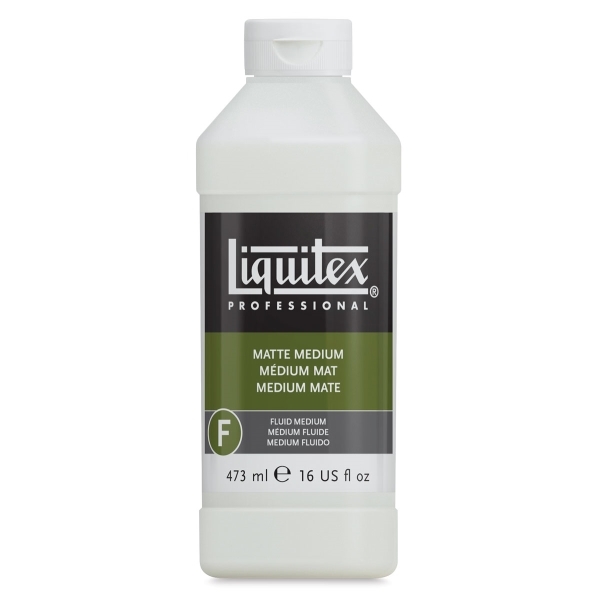 Mix medium viscosity Matte Medium with acrylic colors for completely matte, dull and flat effects and a non-reflecting finish. When mixed with acrylic paint, it extends color, increases transparency, matte and film integrity, eases paint flow, and adds to the flexibility and adhesion of paint film. It is opaque when wet and translucent when dry. Use it as an extender, a fixative, or a ground. 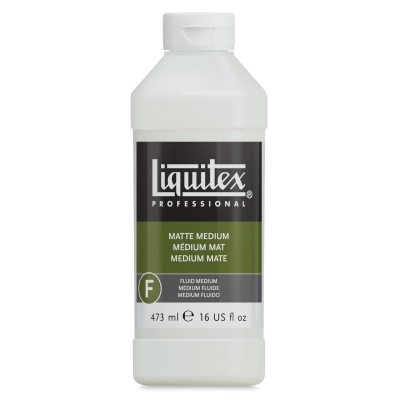 Mix with Gloss Medium for a semi-gloss or satin medium.